The King’s head lies sneering in the level sand but time will soon erase even the sneer from his face. Time is all powerful. 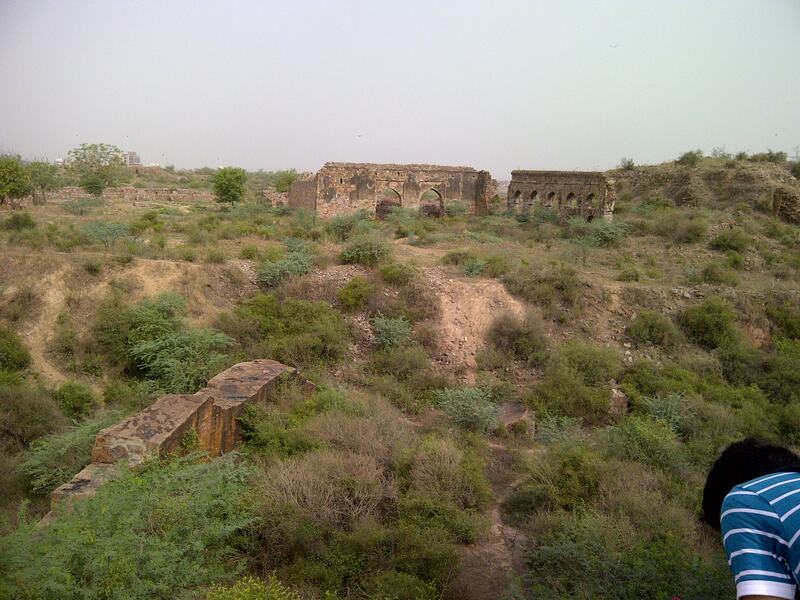 Thus it is at Tughlakabad. Ghyasuddins’ great venture has fallen on bad days. It has succumbed to the curse of Nizamuddin Aulia—‘Ya rahe hissar, ya bassey gujjar.’ The saint said that this walled settlement of yours will become a city when gypsies decide to settle here. 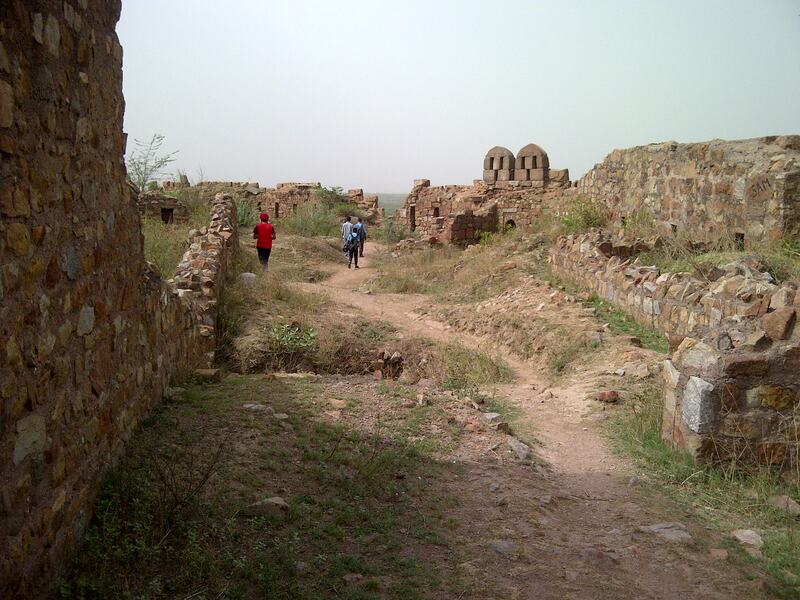 Gypsies of course will never decide to settle in one place thus Tughlakabad will never become a successful city. Nizamuddin is a saint still revered by the people of Delhi. He was building a large well for the benefit of the people. This was in the period of Ghyasuddins reign from 1320—1325. The saint cursed the Emperor because he diverted all the men working on his ‘baoli’(well) to the construction of his massive venture of building a fortified city of Tughlakabad. Ghyasuddins had fought the Mongols and beaten them in battle. He feared that they would soon attack him and therefore he built the city with walls rising as tall as fifteen meters. 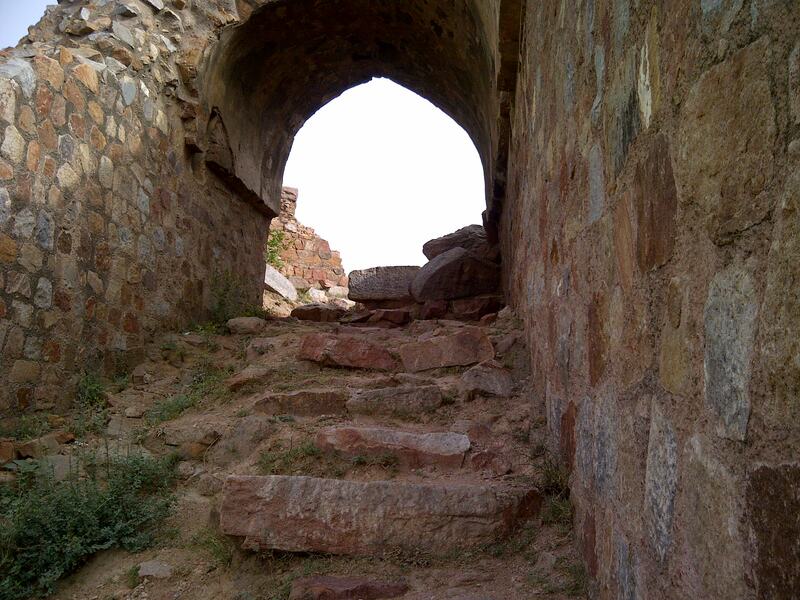 The battlements and watch towers made the city an impregnable fort. Emperor Ghyasuddin in this period went on a conquering crusade to Bengal. He was successful. Soon he was on his way back to Delhi. Informed of his imminent return Saint Nizamuddin Aulia said another of his famous mystical lines—‘Hunuz Dilli dur ast’—Delhi is still far away- and the insurmountable distance remained thus because Ghyasuddin died in an accident where a big wooden construction built for welcoming him fell upon his entourage. People believe it was a conspiracy between his son and some courtiers. Ghyasuddin thus died bereft of the benefits of his great city which soon slipped into days of neglect. Although It is true that still some gypsies and shepherds live in the fortified city. 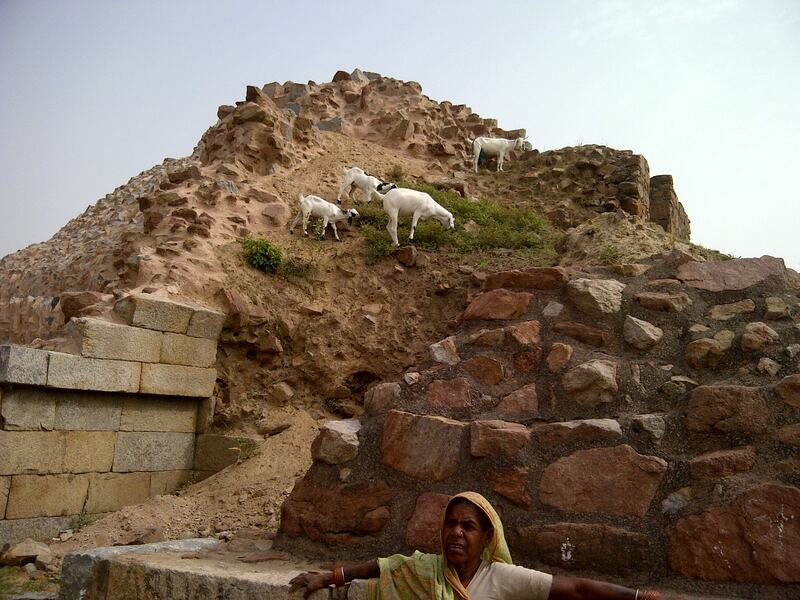 You can still see goats climbing the proud seven hundred years old walls of this Indian Ozymandias. Thousand of people flock to the lawns surrounding this World War I Memorial to Indian soldiers fallen on the battlefield. Families bring packed tiffins for a picnic. It is also a romantic place for taking your girl friend for an ice cream late at night.